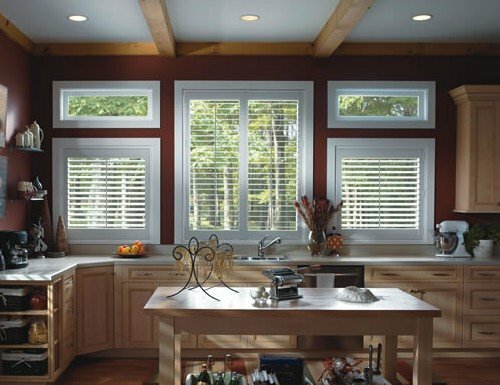 Our composite window shutters are made from hardwood and durable thermal polymers, our composite shutters are made to last.This unique blend of materials allows our window shutter blinds to retain their shape, color and resist chipping. Each vinyl shutter is made from durable extruded polyresin that resists warping and discoloration. Designed with hollow louvers for added insulation and energy savings. 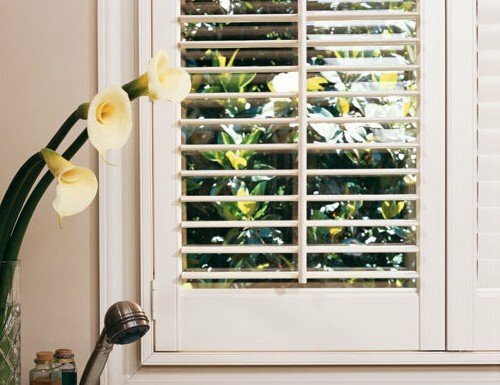 Most of our composite plantation shutters are designed with a patented spring-loaded panel design and a classic tilt bar with "no mouse holes". This allows each louver to close tighter and minimize any light gaps for added light control and privacy.